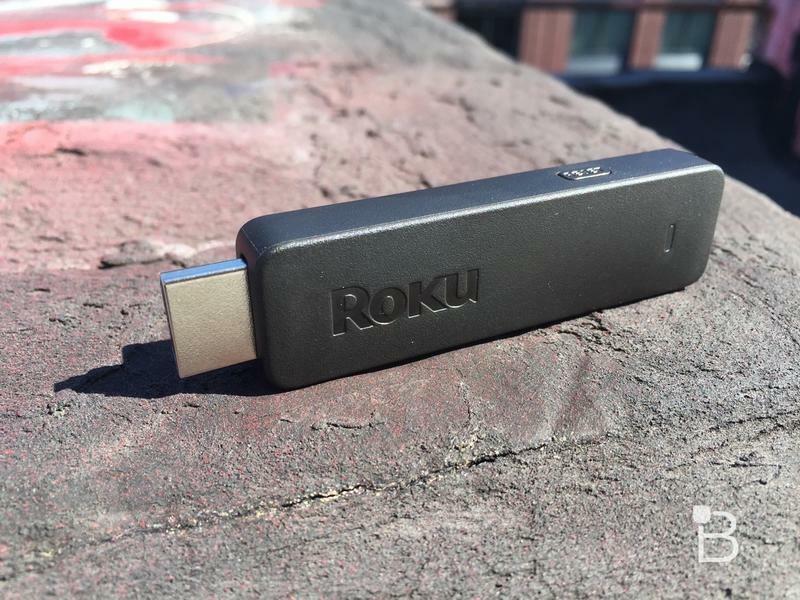 I'm a big fan of Roku, and I think its decision to treat every streaming app equally gives it a huge advantage over rival streaming gadgets from Apple, Google and Amazon that tend to prioritize their own content. 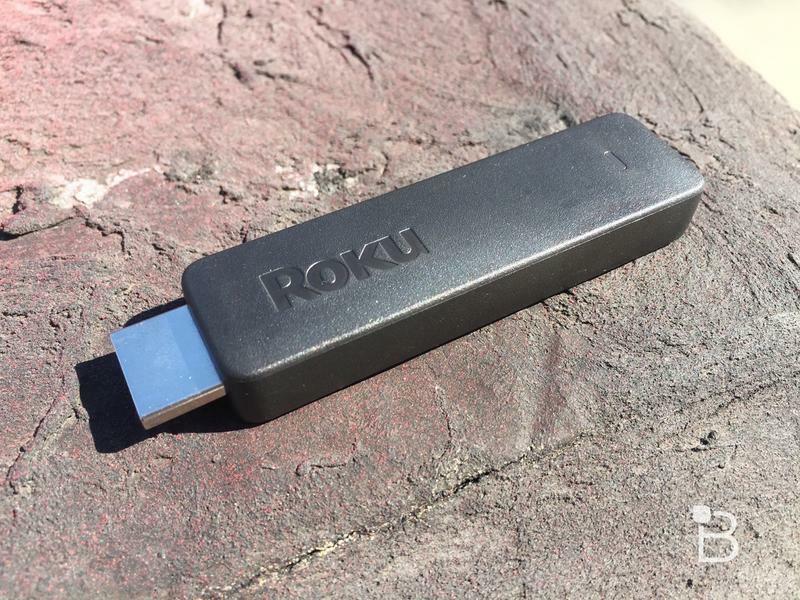 I've actually used the same budget-friendly Roku LT model for years, and even as load times started to increase and the entire system began to crash on a semi-regular basis, I still didn't see any reason to upgrade. 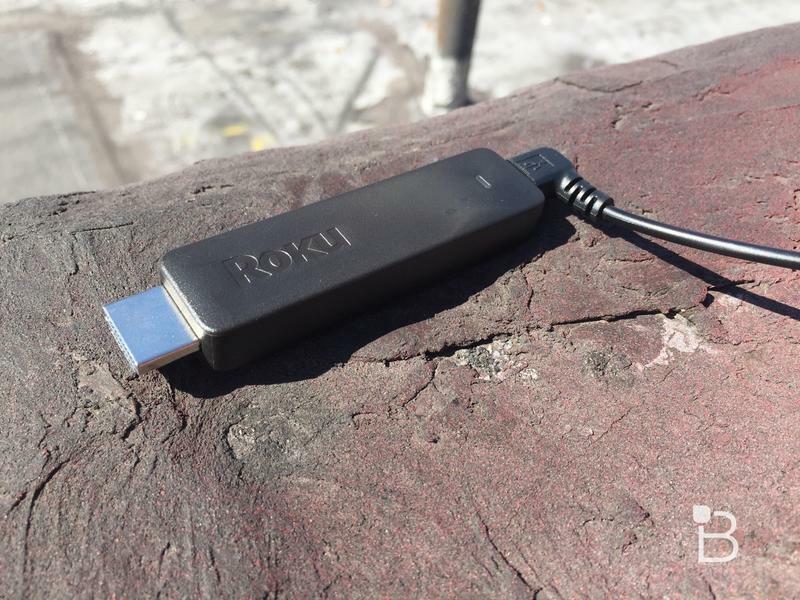 After all, my Roku still worked just fine most of the time. But, after spending a few days with the company's new Streaming Stick, I don't think I can go back. The second-generation model is blazing fast thanks to upgraded internal hardware. 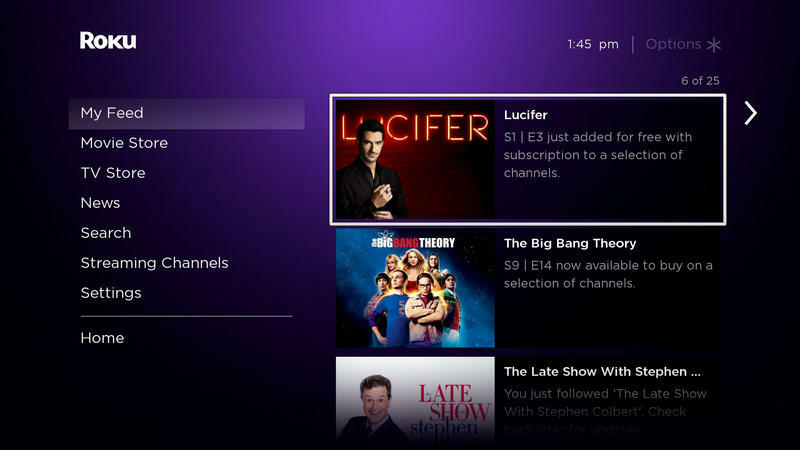 The company also rolled out new features for both its Roku operating system and its mobile app, adding an impressive private listening feature and fresh ways to find something to watch. It's not perfect. 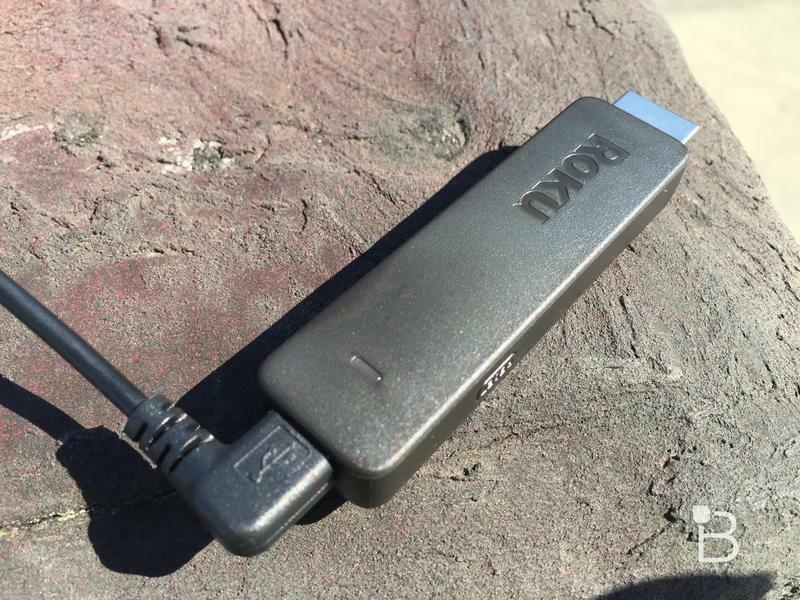 I did run into a few small issues along the way but, for the most part, this $50 HDMI stick is easy to recommend. 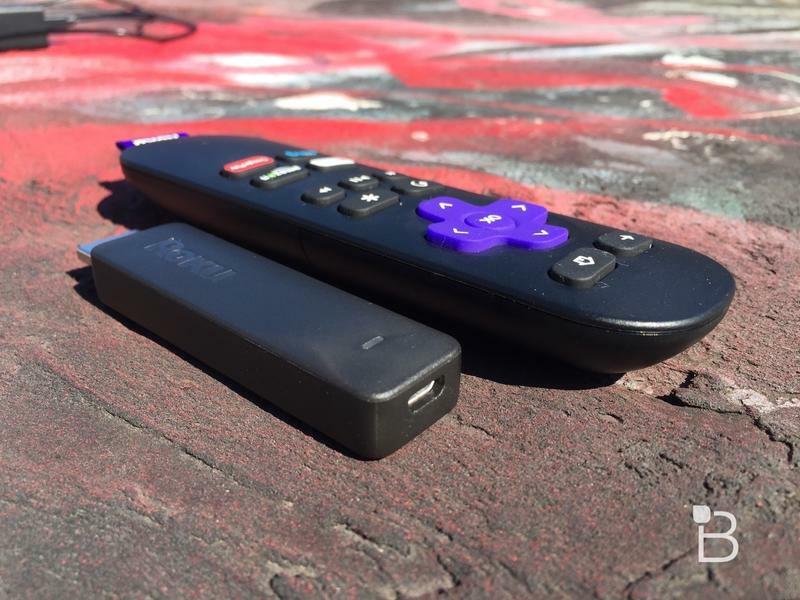 The new Streaming Stick is an impressive feat of engineering and, next to the original version, the difference is obvious. The second-generation model is thinner and sleeker with a simple black design. 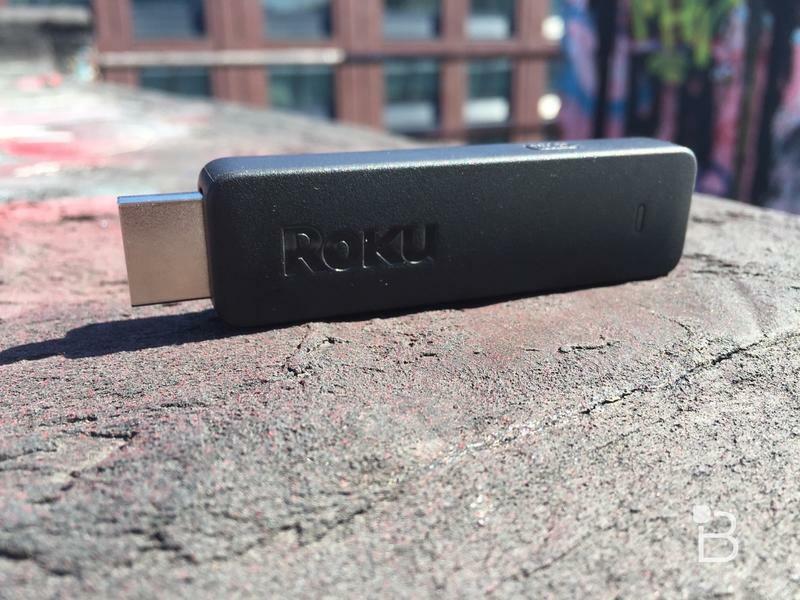 Roku knows you're not putting this device out on display. It's designed to live out of sight, hidden behind your TV. 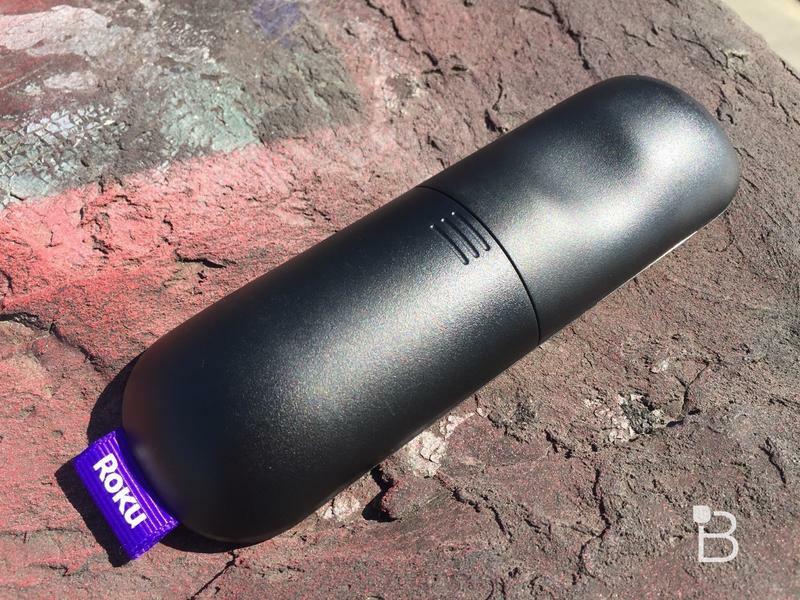 It's also small enough to fit in your pocket and, thanks to the company's upgraded mobile app (more on that later), you can leave the remote at home. 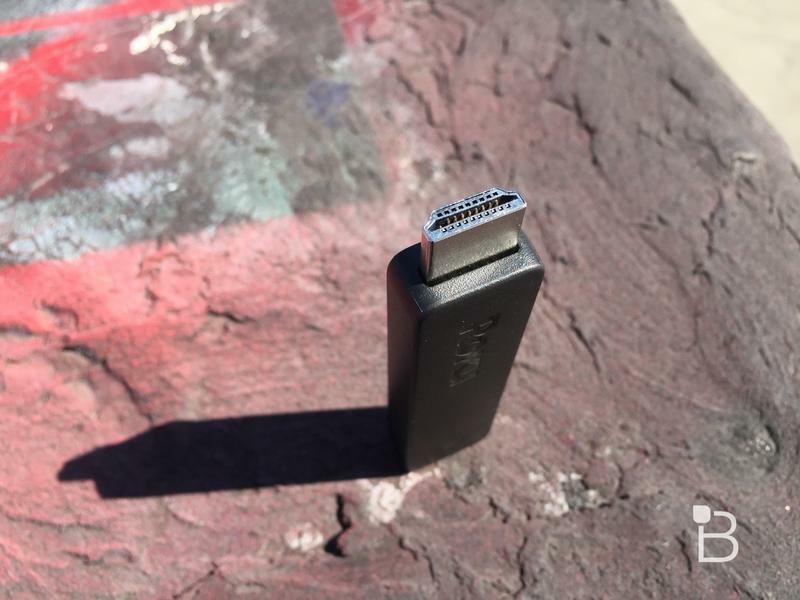 The front end sports an HDMI plug that slides right into your TV. 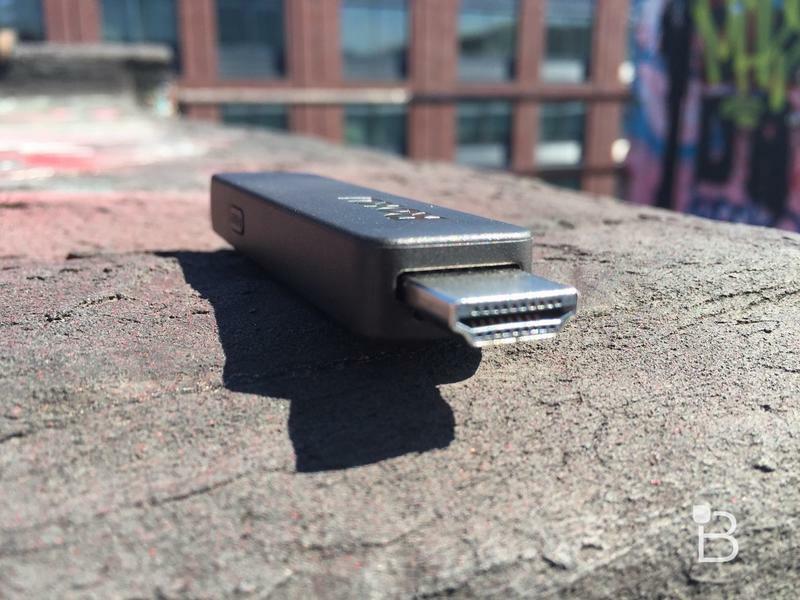 There's also a microUSB port for powering the Streaming Stick. 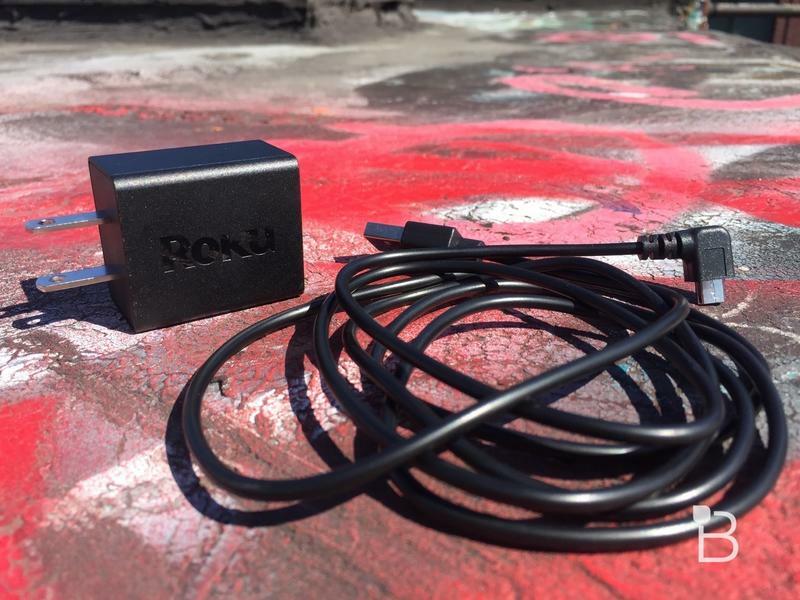 Roku also includes a five-foot cable and a wall wart adapter. That should be perfectly fine for most situations but, if your TV doesn't have USB ports that can power the Stick or you use a projector (like me), you'll want to make sure there's an electric outlet in close range. I actually ended up plugging the new Roku into a USB port on my PlayStation 4 while I try to find a longer cable. That won't be an issue for most people, but it's worth considering if you have a non-traditional home entertainment setup like mine. 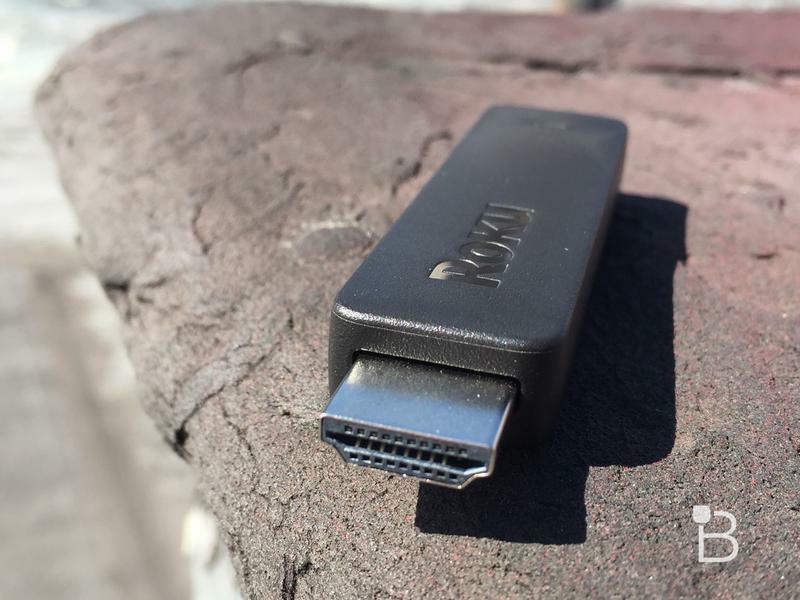 Under the hood, Roku packed in a quad-core processor, which the company says is a first for any HDMI streaming stick, along with a dual band MIMO (multiple input, multiple output) Wi-Fi antennas. The result is blazing fast streaming and extremely responsive controls. 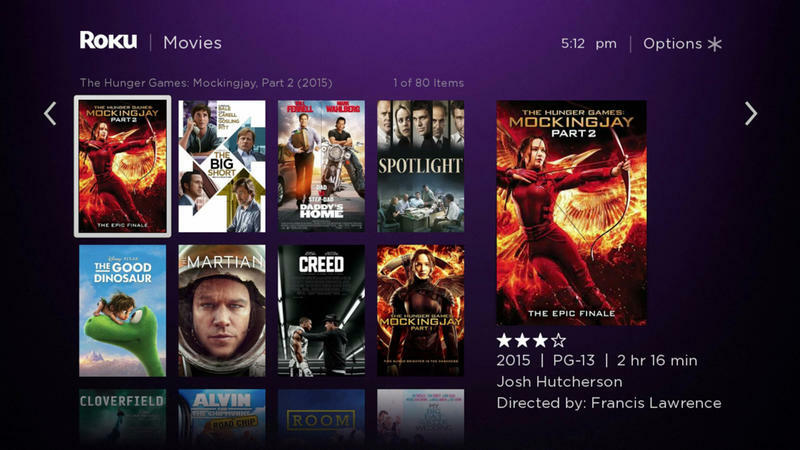 Massive streaming catalogs like Netflix and Hulu load a lost faster than they do on my old Roku. Just navigating the menu is a more enjoyable as a result, and even logging into various accounts during the initial setup process was a lot less tedious as a result. 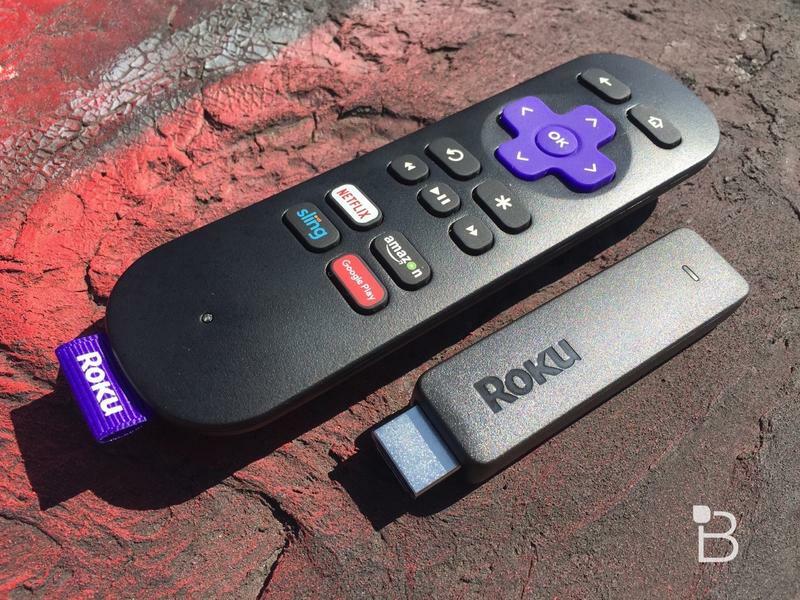 I can't really emphasize enough how much faster this Roku Streaming Stick is compared to my older model. 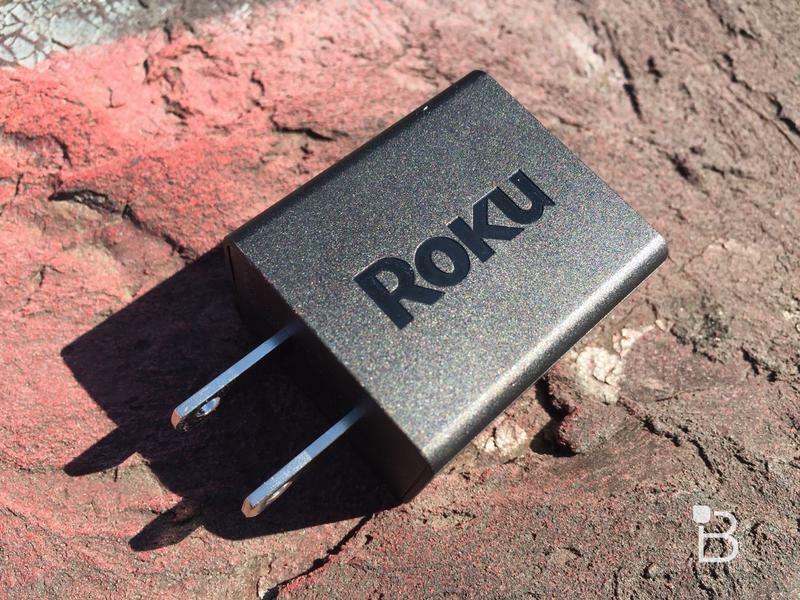 If you're holding onto a Roku from a few years ago like I was, and think it still works fine, you may want to reconsider. 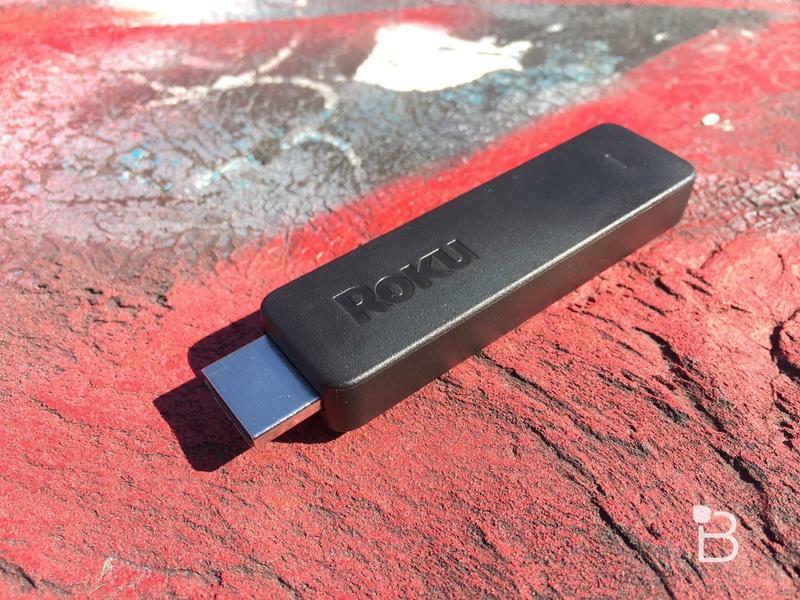 Only the flagship Roku 4 offers a comparable quad-core processor, but the Roku 3 comes close with a dual-core chip. 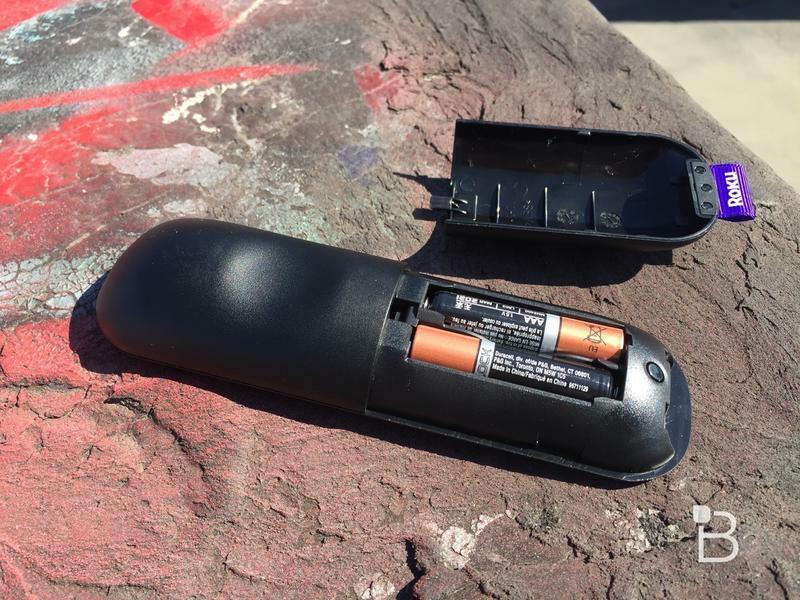 As for the remote, its design hasn't changed much over the years. 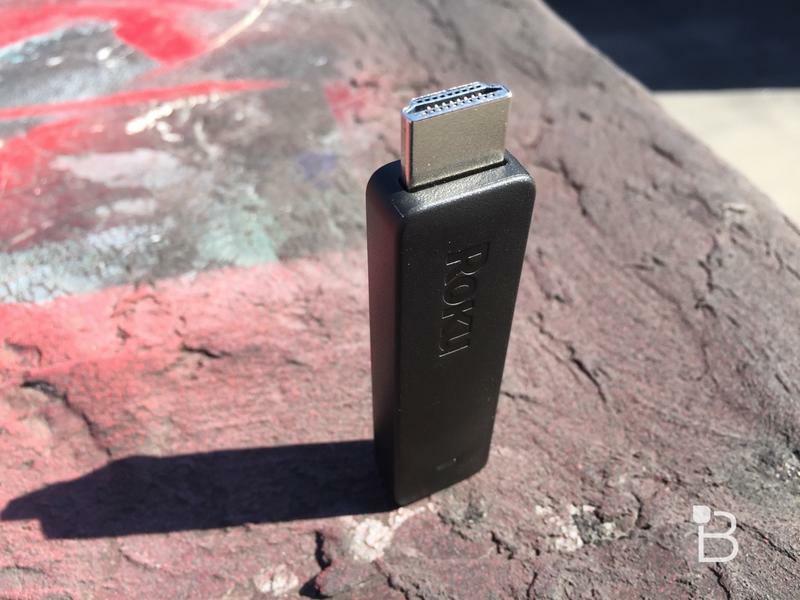 It's still comfortable to hold and the latest version includes standard navigation buttons along with quick access to Netflix, Amazon, Sling and Google Play. 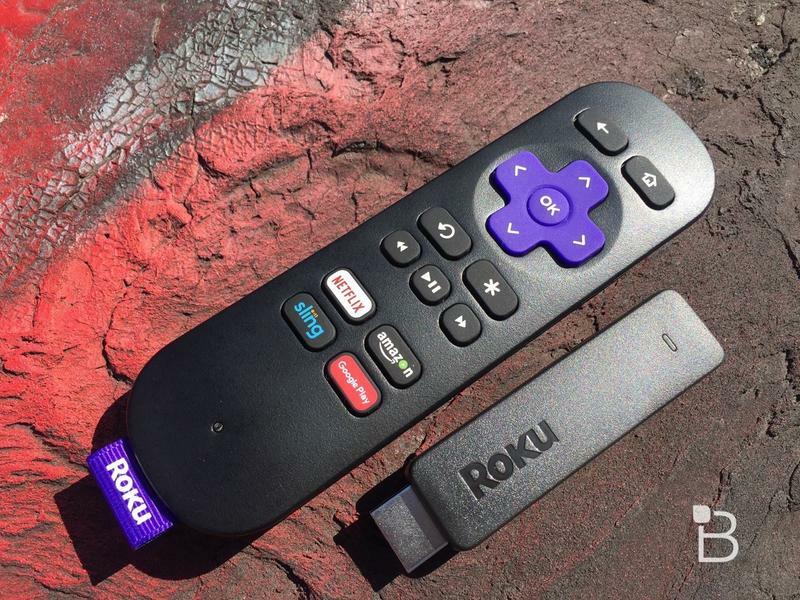 I wish there was some way to reprogram those quick launch buttons to whichever apps you personally use the most, but Roku actually makes money off those branded buttons, so no such luck. 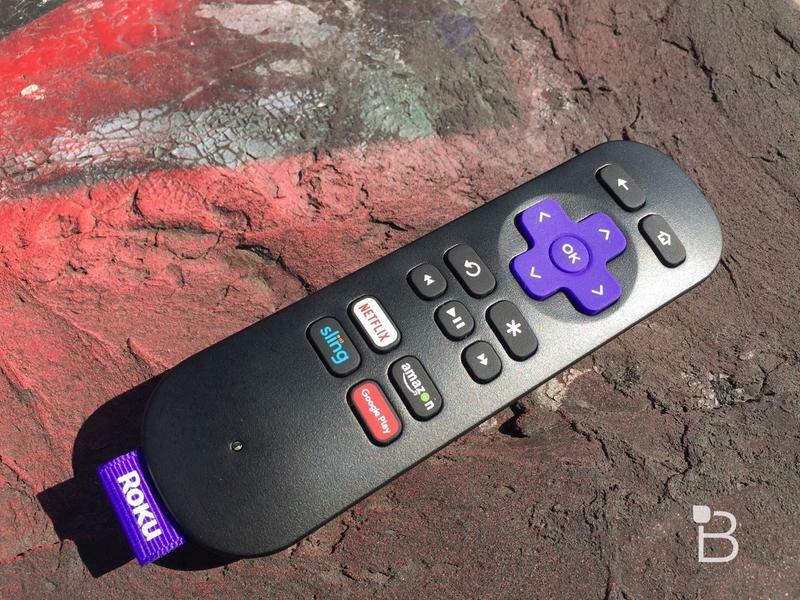 The one feature missing from this Roku remote is the built-in headphone jack that comes standard with some more expensive models. The company presumably left that out to help keep down costs but, thankfully, there's an awesome software-based alternative. 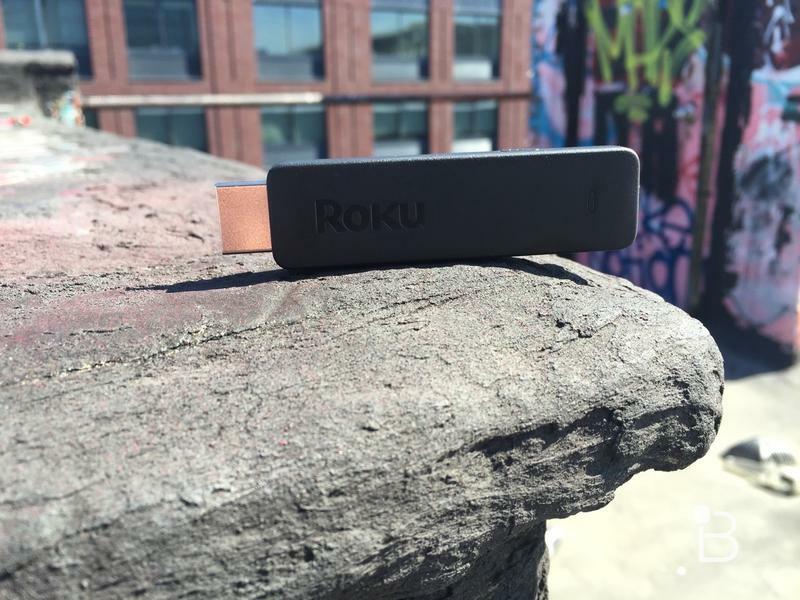 The Streaming Stick is the first Roku product to offer private listening through the company's mobile app. From the Remote menu, just tap the headphone icon and a green on-screen light will turn on as the audio automatically reroutes itself through your smartphone. This feature works exceptionally well. I never noticed any lag, even while using Bluetooth headphones or speaker. The one issue with private listening is that it restricts what else you can do with your smartphone while watching. As soon as I started jumping between apps, I noticed the audio was cutting in and out a little bit. Of course, you could just put your phone down and focus on watching TV, but for many people (myself included), that mobile second screen has become an unavoidable habit. 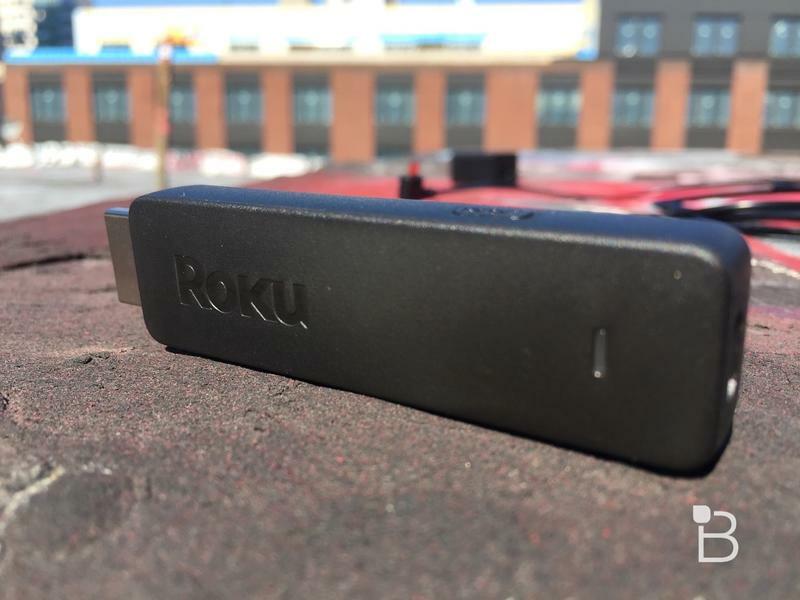 When I asked Roku if the same feature would ever come to its other streaming devices, the company wouldn't offer a concrete answer. 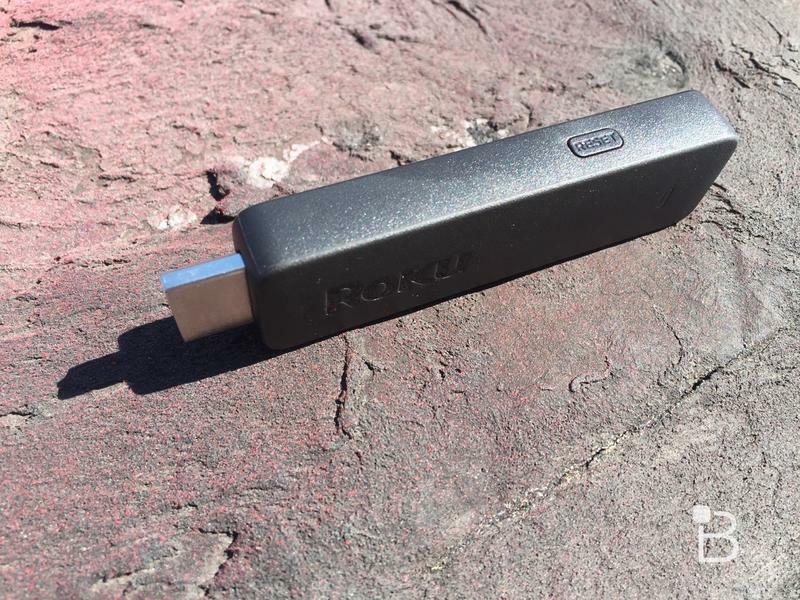 It took a ton of engineering to get private listening for the Streaming Stick as perfect as possible, and it could take a while to port the same capabilities over to the rest of Roku's lineup. Then again, the company didn't say no either. 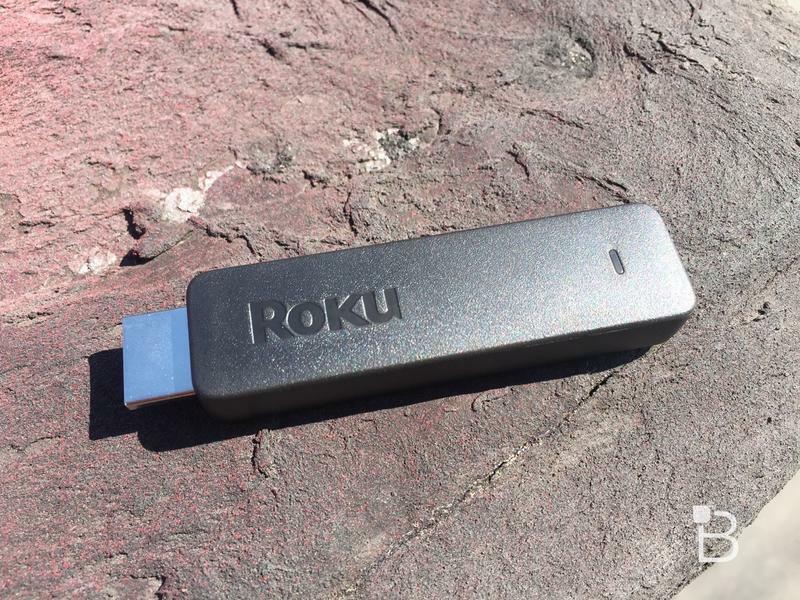 The new Streaming Stick runs Roku OS 7.1 out of the box, which should already be headed to older devices. 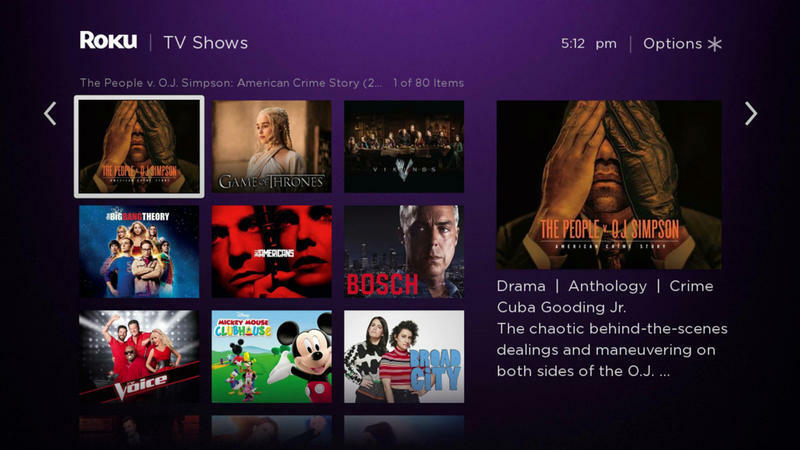 The upgrade mostly focuses on Roku's Feed feature, which offers a regularly refreshed list of TV shows and movies you may want to watch based on your interests. Personally, I've never paid much attention to the Feed, but it's a nice way to find something new if you already scrolled through Netflix or Hulu and come up empty. 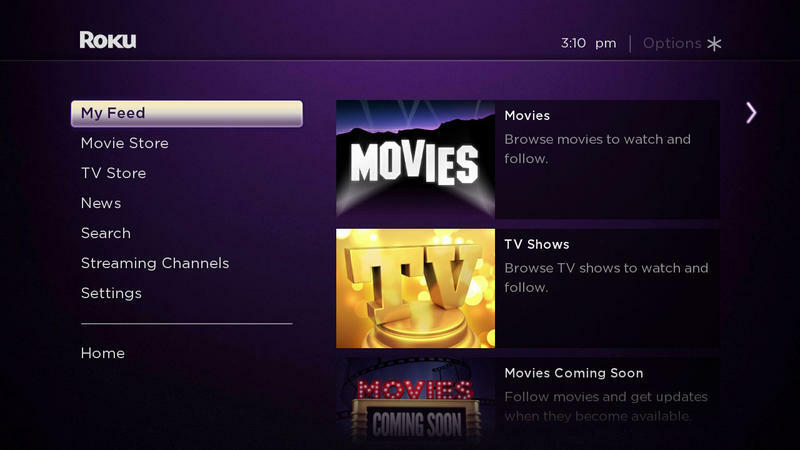 The same update also adds new sections for TV shows and movies based on what's trending on Roku across all the different streaming apps. It's another way to find something else to watch and a clever way for the company to leverage all its data, but I didn't find myself coming back to it very often after an initial test. If you're in the market for a new streaming gadget this is one of the best available, especially for just $50. 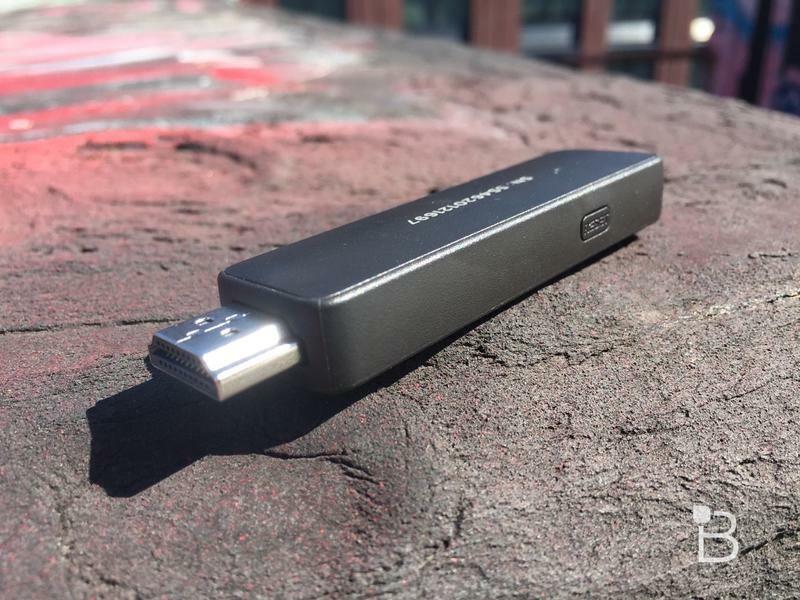 Even if you think you're fine with your current setup, you may reconsider after seeing just how quickly the new Streaming Stick can navigate menus and load apps. 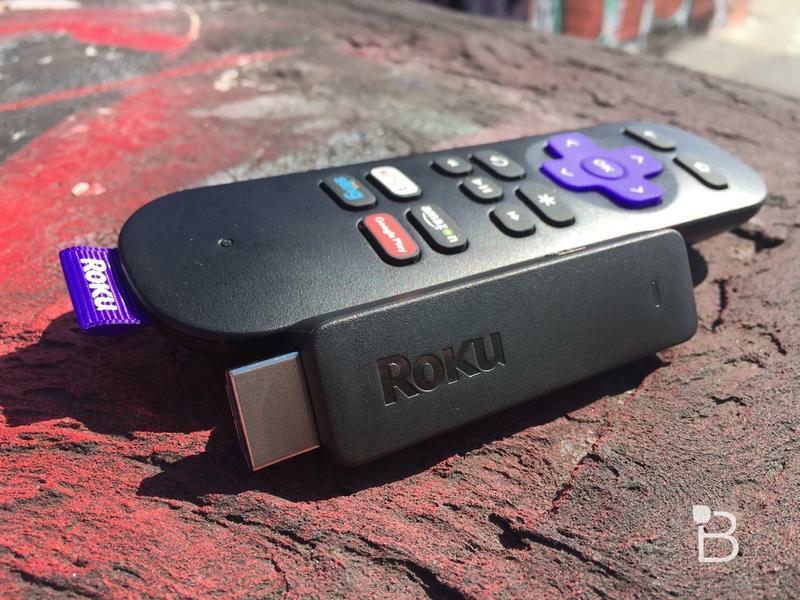 It may sound like a small improvement but, if you use a streaming device as your primary TV-watching method, it can make a huge difference in the long run.